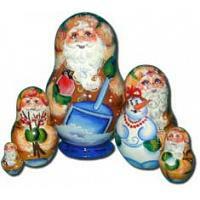 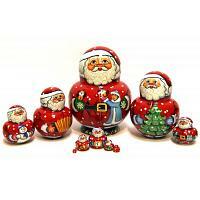 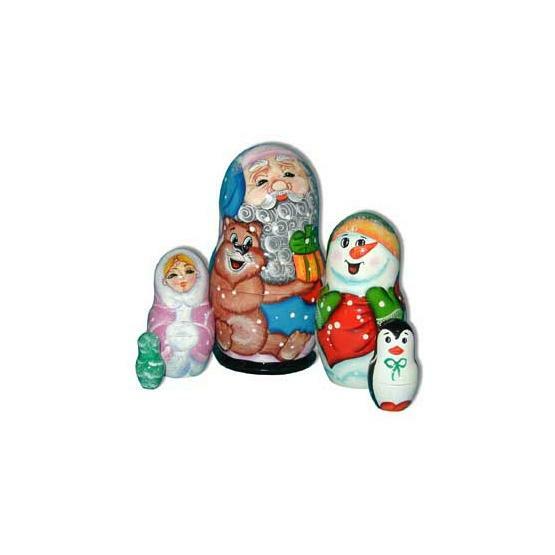 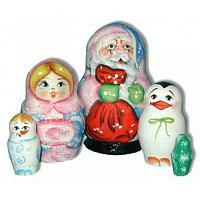 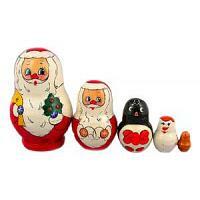 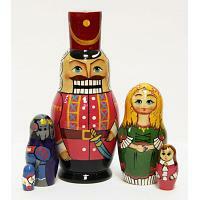 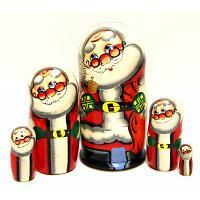 Festive stacking doll depicting Santa, snow maiden, snowman, gifts and Christmas tree. 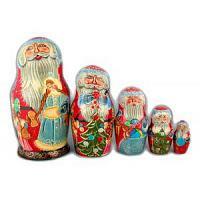 Height: 5.5" (14 cm). 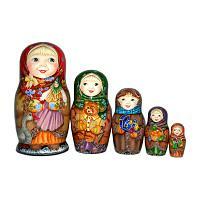 Imported from Moscow, Russia. 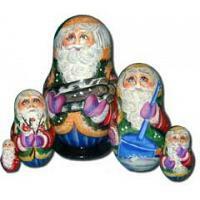 Ships within 5 business days.